A small, elegant double walled bowl with unlimited uses. 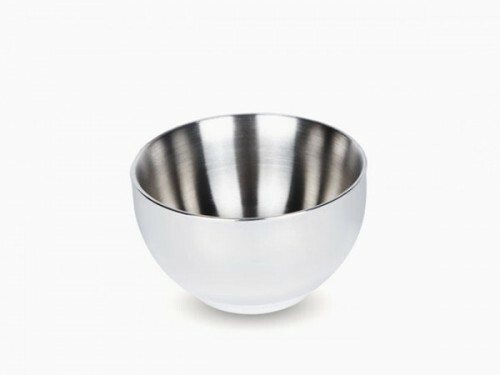 A small, elegant double walled bowl with unlimited uses, by Onyx. Fits perfectly into the palm of your hand. Ideal as a baby's bowl or for snacks at a party, dips, sauces and so on. The insulating double walls keep hot food hot, and cold food cold. No more melted ice cream.